We can wax, edge and tune your snowboard and skis for the best performance before your holidays. Just ask if you want us to use a specific temperature wax or angles on your rails or we can prepare it for all mountain use. 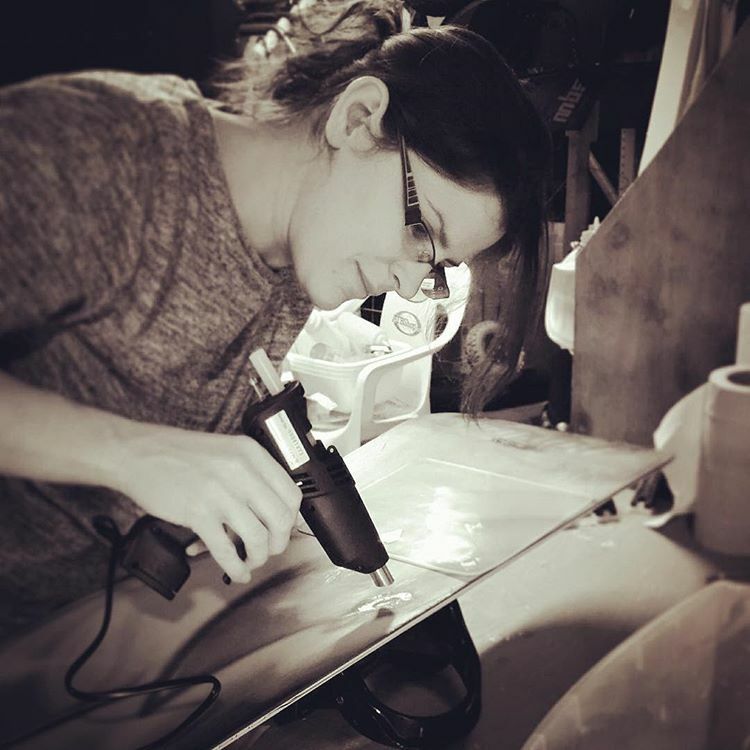 We can do general servicing and repairs to keep the snowboard in good running order but due to our workshop facilities we are not able to base grind boards or some other much bigger repairs. 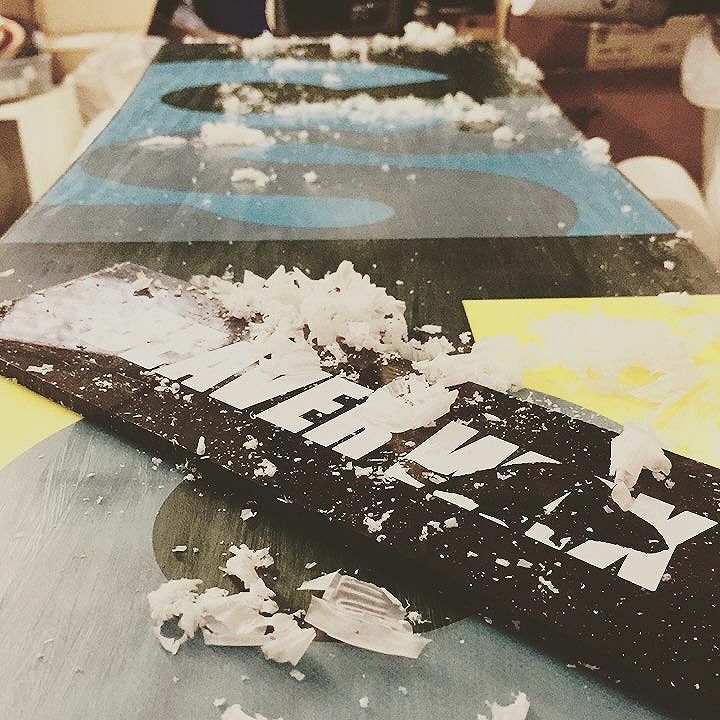 This is the local in-store snowboard service for Swindon; if you have a board that needs a service all you’ve got to do is drop it in to us and let us know when you need it done by! 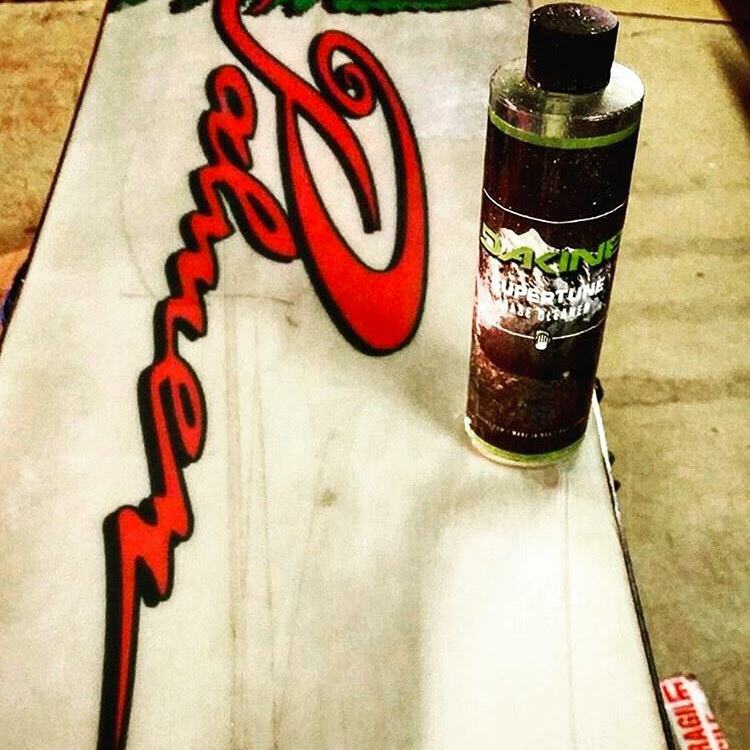 We take pride on our work after finishing a quality hand waxed board, rather than pushing a board through a machine we rely solely on our years of experience and take time, care and effort into each board as though it where our own; because we all know a board waxed right rides even better! You need to drop the board into our snowboard showroom for the service 10am-6pm Mon-Sat but can also drop off or pick up if the skate park on Sunday and also later night if a session is on check our skatepark timetable for late sessions. We start by cleaning the base of any dirt or old wax and debur the rails and the edges are sharpened back up for grip. We then hot wax the base by hand with a choice of All Temp, Cold or Warm waxes. Following this we leave the wax to dry for a few hours allowing the base to absorb and pores to retract and then we begin scraping the wax off (by hand) with a plastic scraper. We can also repair gouges and scrapes on the base of the board depending on the extent of the damage, we can quote you for this when you drop the board in.